Bryan R. Cullen obtained a B.Sc. in Biochemistry from Warwick University in the UK and an M.Sc. in Virology from the University of Birmingham before moving to the USA, where he obtained a Ph.D. in Microbiology from Rutgers University in NJ. In 1987, he was recruited to Duke University Medical Center as a Howard Hughes Medical Institute Investigator. He currently holds a James B. Duke Professorship in the Department of Molecular Genetics and Microbiology. 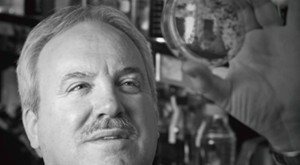 Bryan Cullen’s interests have historically revolved around the use of viruses as genetic tools to understand aspects of the biology of the eukaryotic cell, focusing particularly on RNA-sequence mediated gene regulation. Currently, his laboratory is studying the biogenesis and function of virus-encoded microRNAs, and also the use of CRISPR/Cas-based gene editing technology as a tool to investigate and inhibit the replication of several different DNA viruses. Another important research interest is focused on identifying and mapping post-transcriptional modifications of viral mRNAs and determining how these “epitranscriptomic” modifications affect viral replication and pathogenicity. Listed as one of the world’s most “Highly Cited Researchers” by the Institute for Scientific Information (2001) [http://isihighlycited.com].